Whether you’ve decided to grow a luscious beard, already have one that’s getting a little tough to handle or fancy a new beard grooming tool, we’ve put together a guide to picking a trimmer with great performance to achieve that well-groomed beard look. 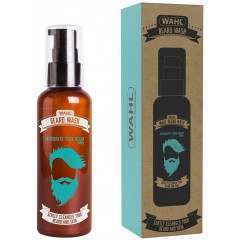 Beard Oil nourishes the hair to make it softer and more manageable. These days, beards are de rigeur, so long as it looks cared for and that you haven’t just gone feral. A well groomed beard looks incredibly suave and will give you an air of confidence so follow a few simple cleansing and maintenance rules and take your beard from wild to wonderful in a matter of minutes. At Shavers we offer a wide selection of essential tools including beard trimmers and clippers, various manual tools such as wide-toothed combs, barbers scissors and beard care products to keep your facial hair in check.